Here are some happy snaps from our scholarship awards on 22 March this year. If you’d like to join us in 2018, keep an eye out for our 2018 application, launching in early October. In October, you’ll find applications at the admin office or student hub, at Whitireia NZ’s Wellington and Porirua campuses, and you can download everything you need here or at whitireia.ac.nz. Think your grades aren’t good enough? Give Whitireia a call on 0800 944 847 before completing your application – they can give you the best advice about your course selection. Have you always wanted to work in health or IT, to be a qualified builder, a plumber, or auto-electrician? Maybe you’d like a career in fine art or performance, broadcasting, music or early-childhood teaching? Our mission is about ensuring that cost is not stopping you from studying with Whitireia. So for us, it’s not all about grades. If you’re the first in your family to undertake tertiary study, let us know, we want to support you. If you want a great new job and need a qualification and some financial support to do it, we’re interested in hearing from you. 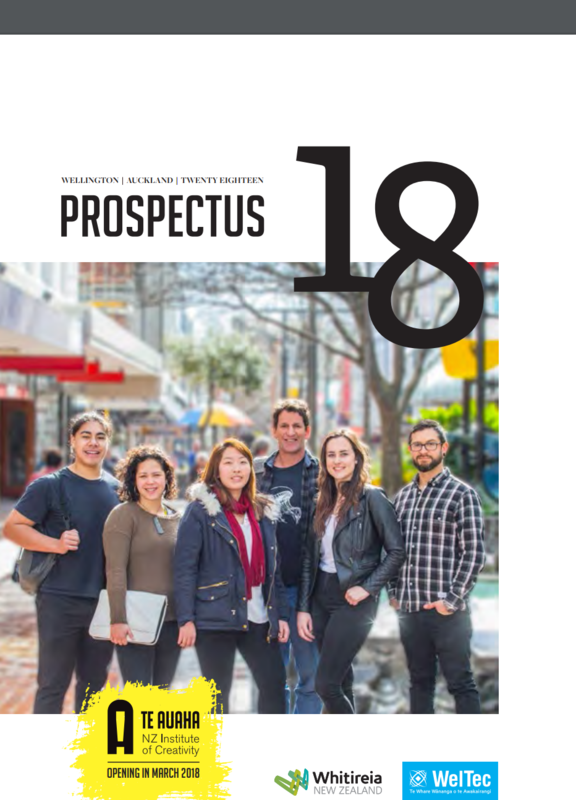 Check out the 2018 course prospectus, it’ll be out soon. If you need a helping hand to pay fees or buy materials, a scholarship might be just the thing. Next Next post: Scholarships 2018 – Open now!